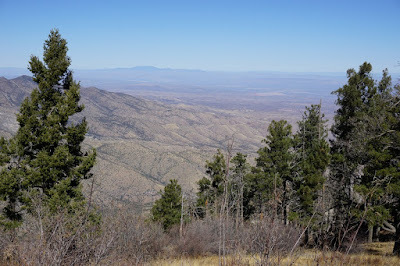 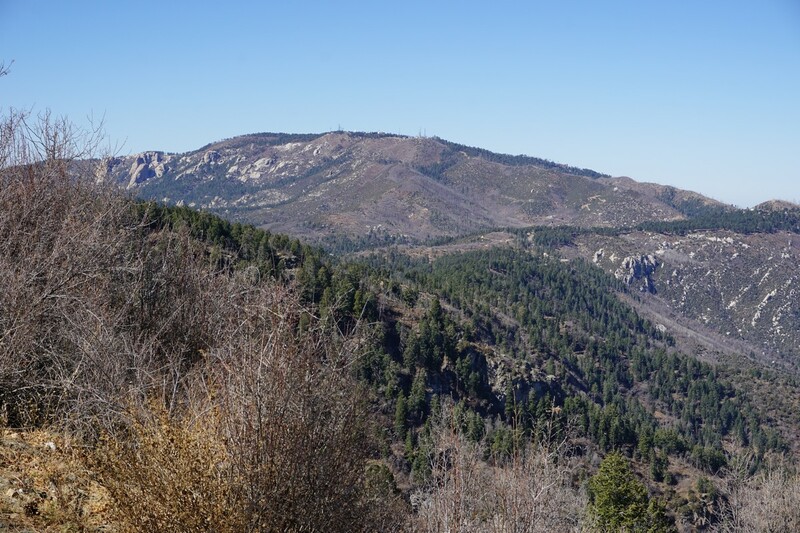 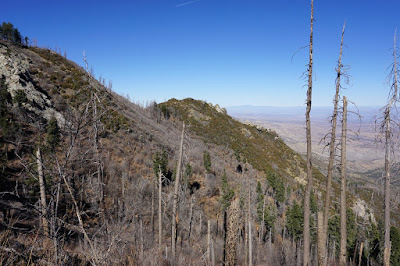 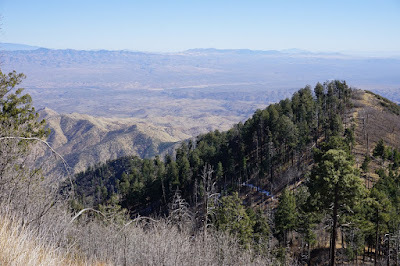 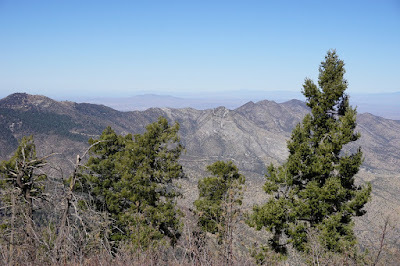 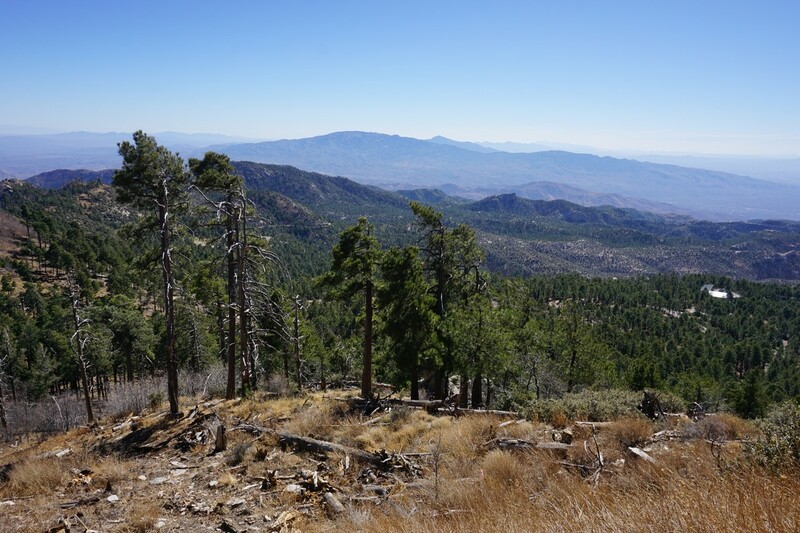 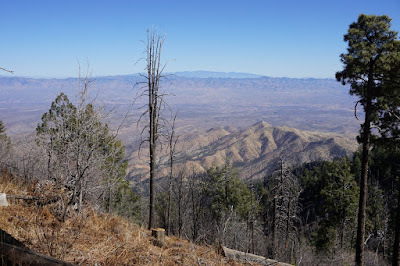 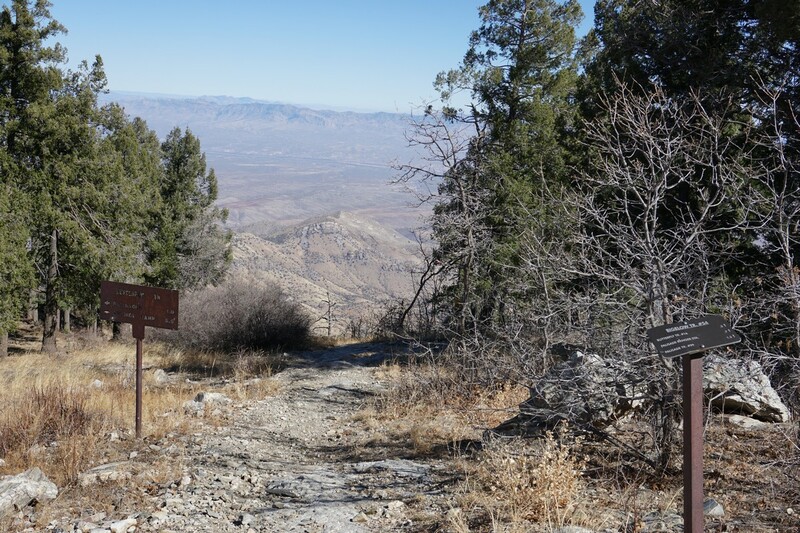 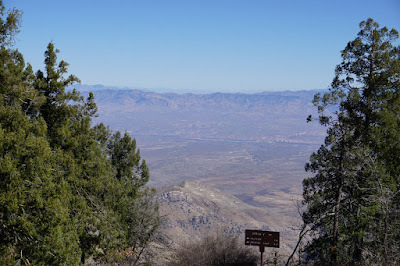 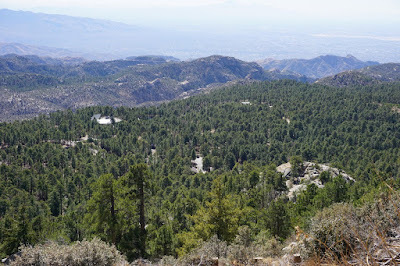 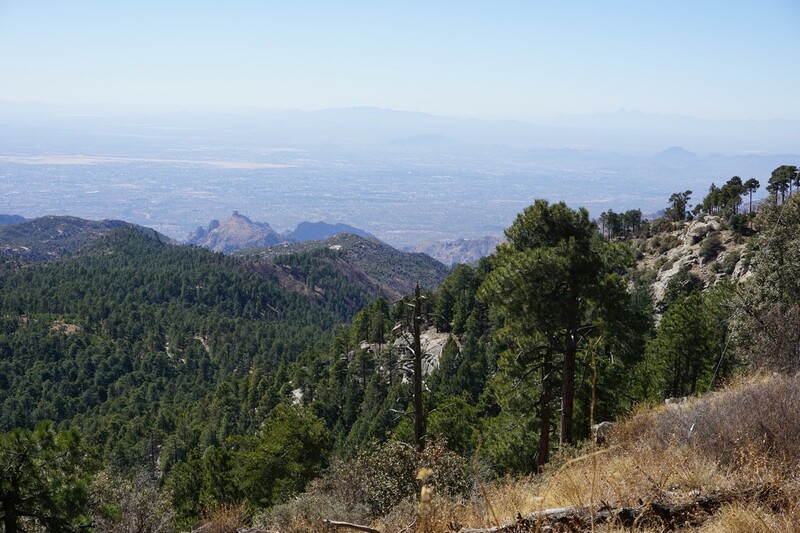 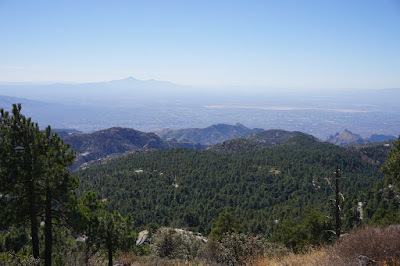 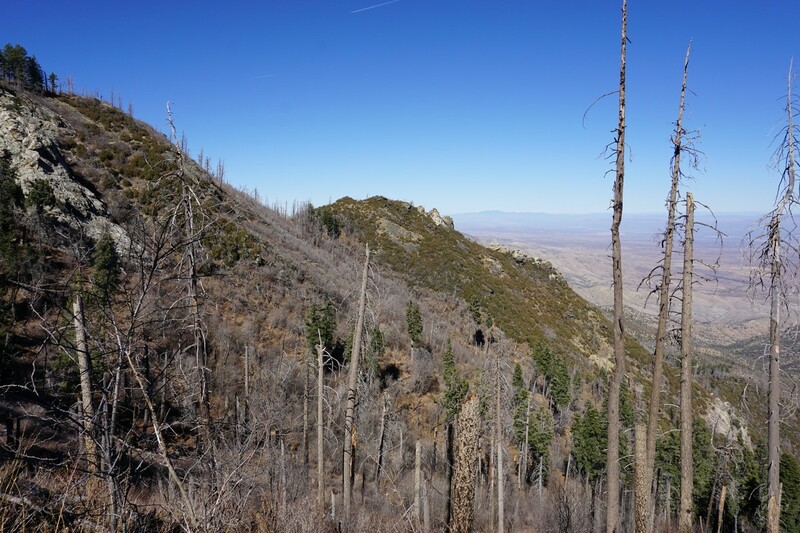 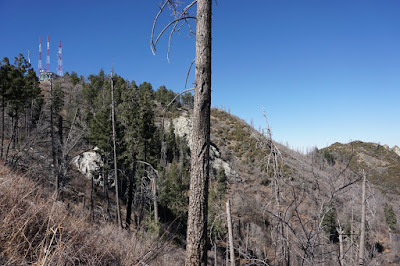 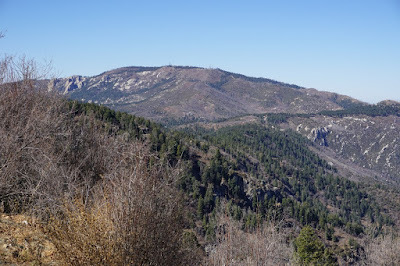 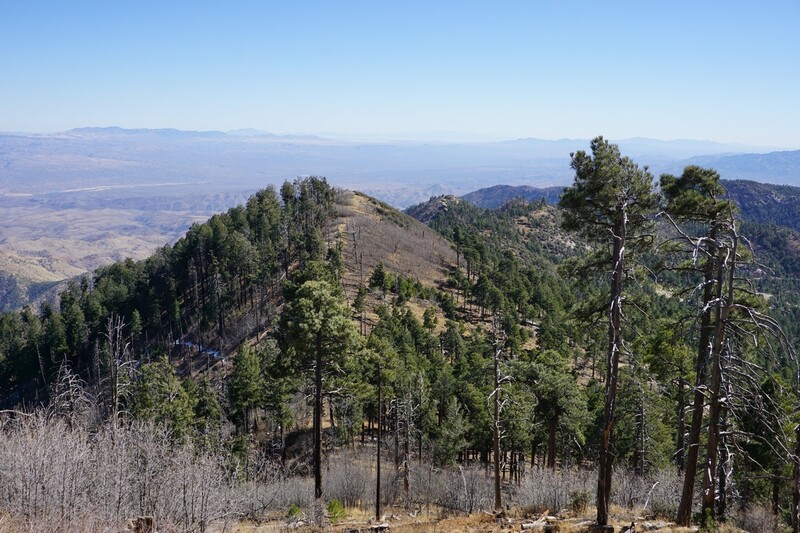 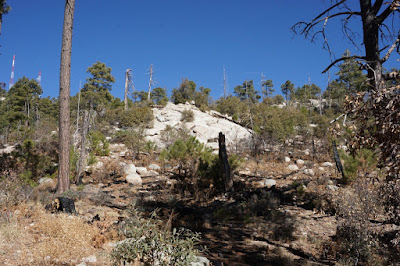 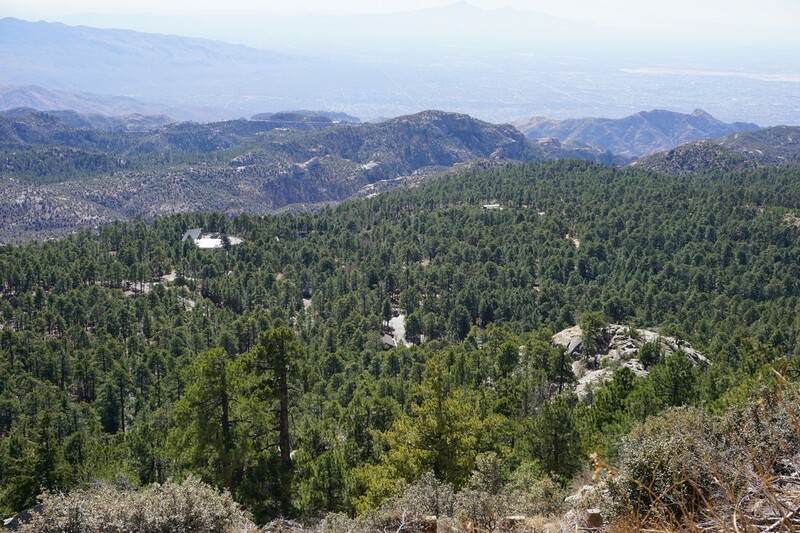 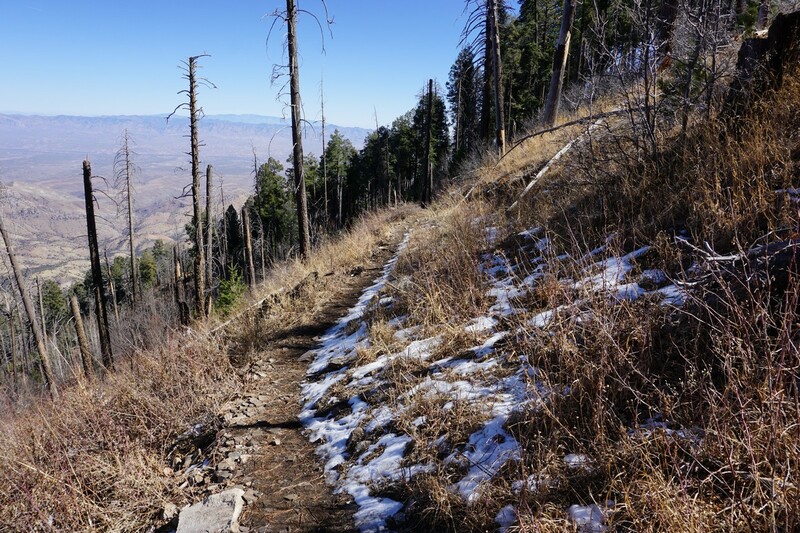 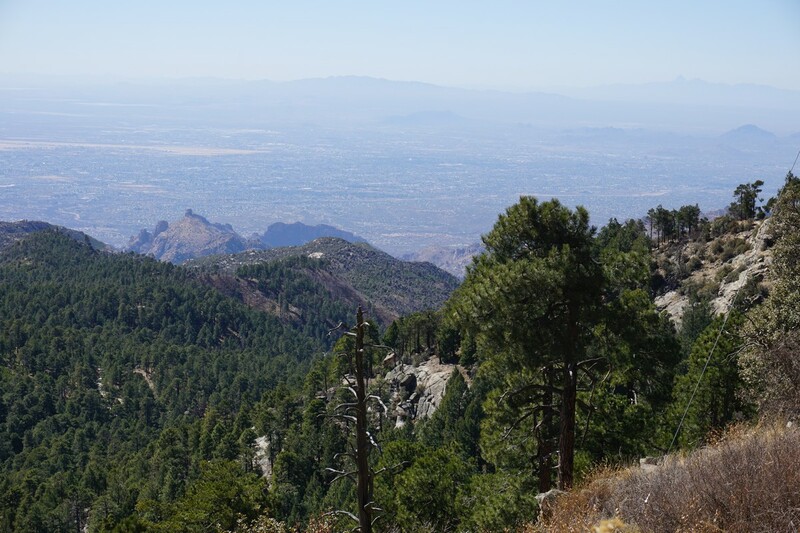 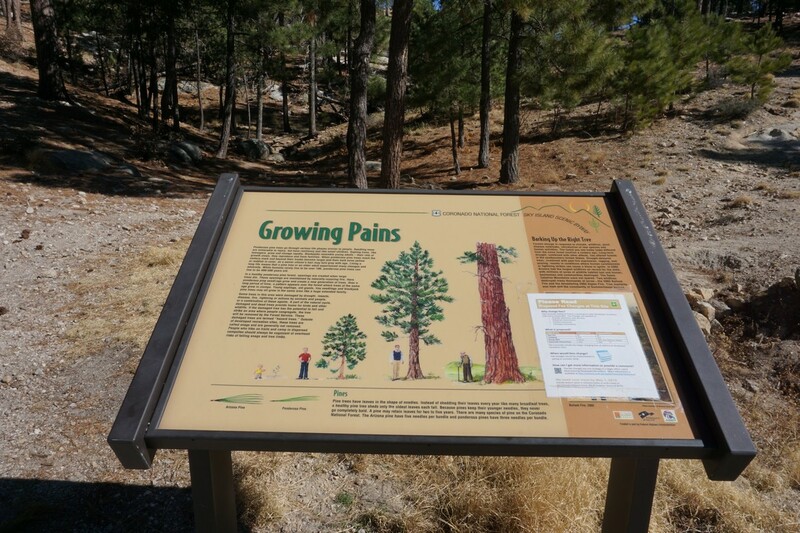 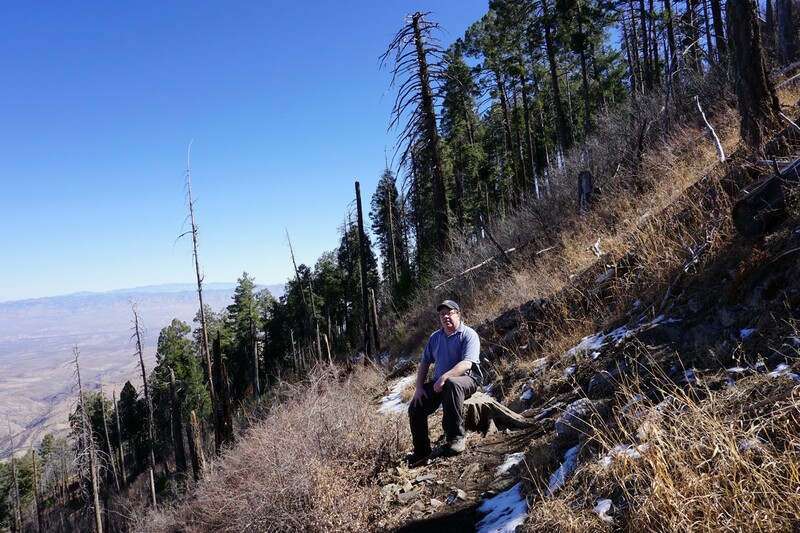 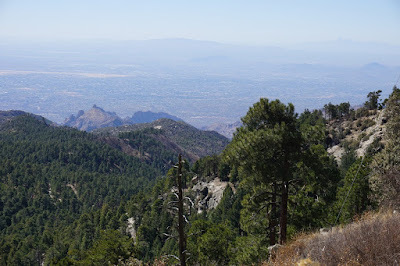 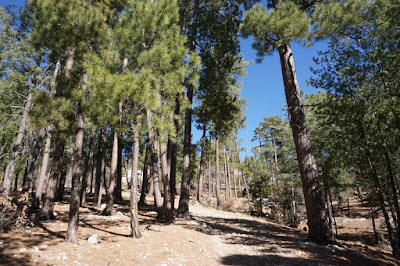 I was in Tucson, Arizona, and decided to take a hike near Mount Lemmon high in the Santa Catalina Mountains. I had been to the Catalina Highway many years ago, and wanted to make a return trip with a hike in the area. 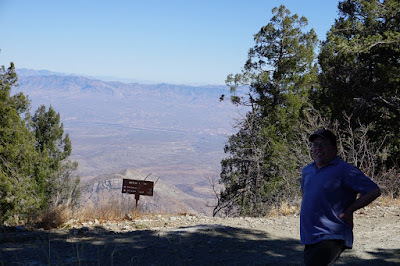 (I think the Catalina Highway is one of the most scenic roads in the country.) 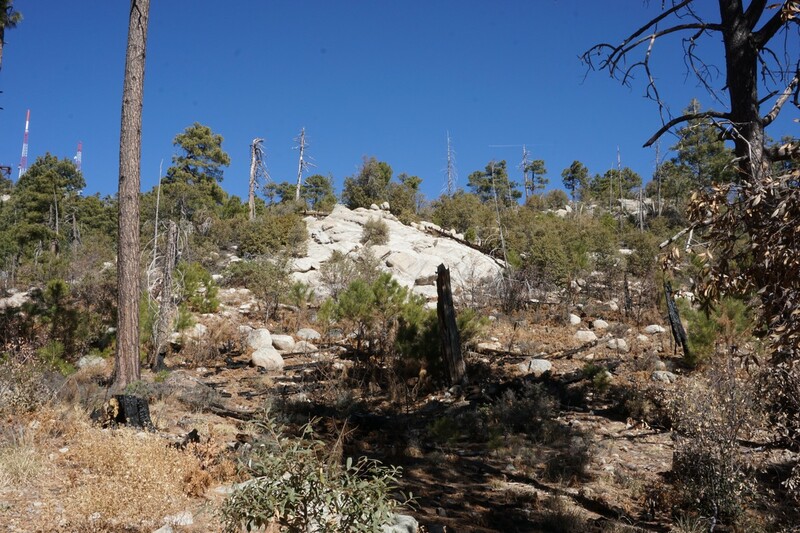 Since I was busy with work, I could not do a long hike, so this was the perfect size for something short, yet with a good climb, and including a drive up Catalina Highway. 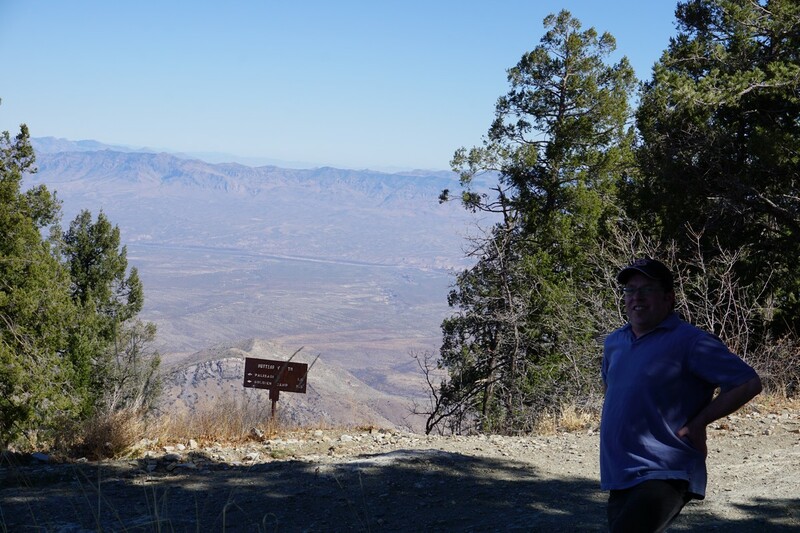 I parked at the Mt. 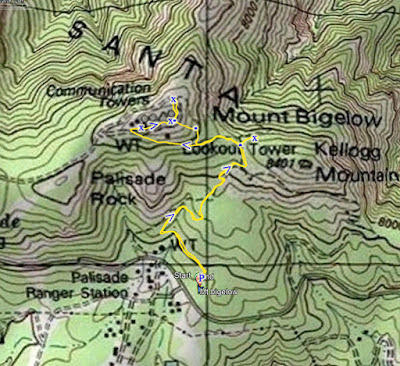 Bigelow trailhead, and took the trail up to the Kellogg Trail, and then to the summit. 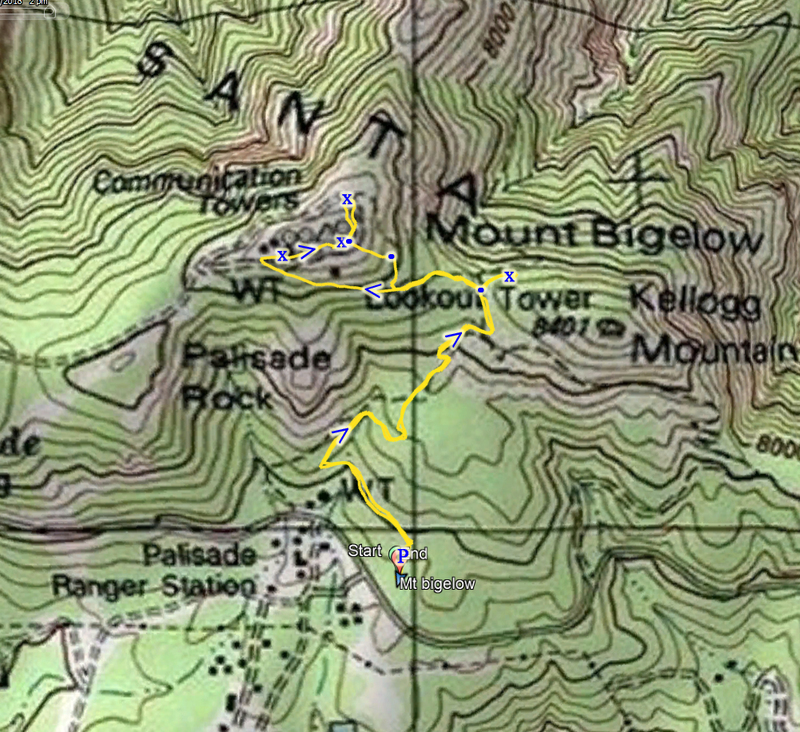 The climb is about 600 feet in elevation gain to the summit by the towers. 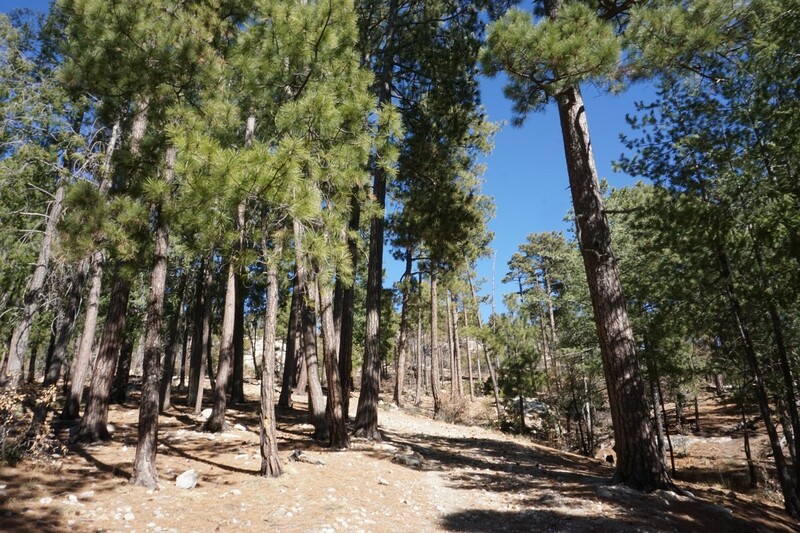 There are great views as you ascend, and the area is nicely forested with pine. 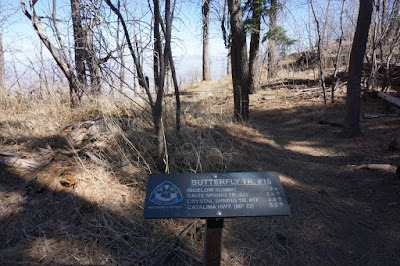 At the summit I used a shortcut trail to cut down around the loop and back to the junction with the Butterfly Trail, and took the Butterfly Trail down a short distance past the norther ridge to the area where there was still some snow. 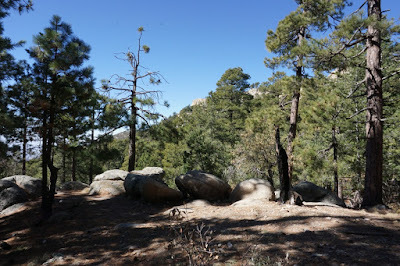 I then turned around and took the Bigelow Trail back down to the parking area.